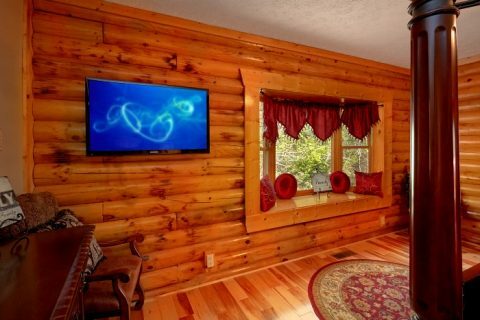 Welcome to "Elkhorn Lodge" in beautiful Gatlinburg, TN! 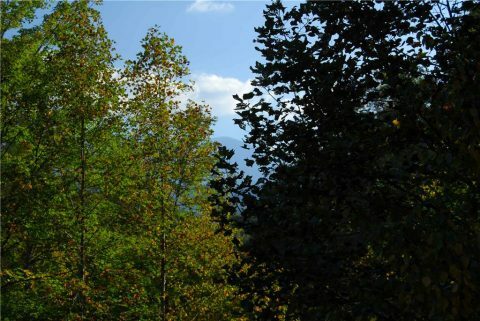 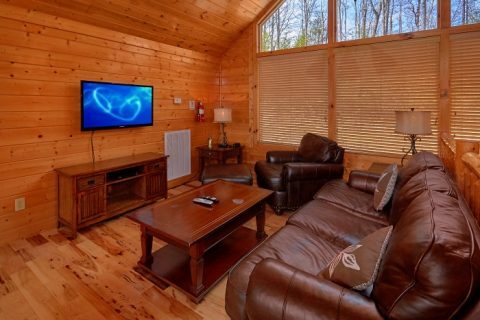 This large cabin offers 5 private bedrooms, luxury amenities, and a prime location only minutes away from the biggest attractions in the Smoky Mountains. 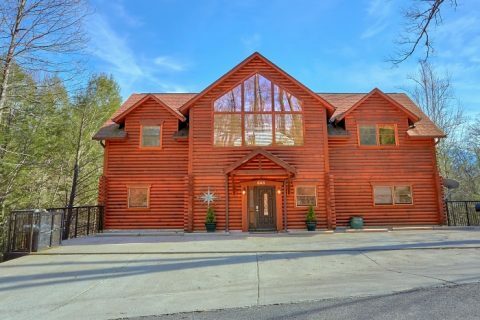 Since this cabin is located in the Glades Rd area of Gatlinburg, this luxury rental is only 5 miles from the heart of Downtown Gatlinburg. 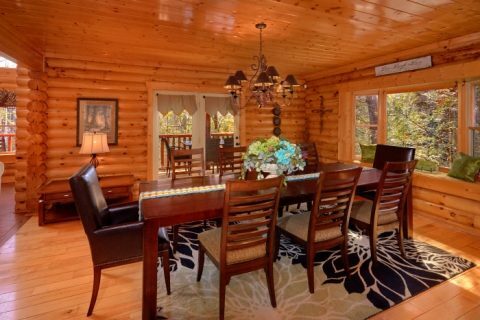 Better yet, your cabin is close to the historic Arts and Crafts Community in the Glades, a scenic area known for its skilled craftspeople and unique shops. 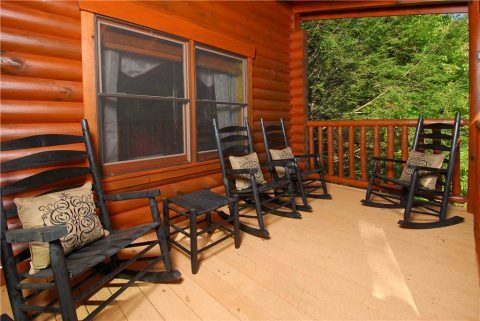 Other top destinations like Dollywood and the Great Smoky Mountains National Park are also within easy reach of this premium cabin. 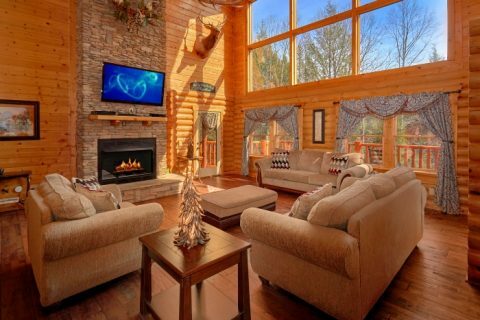 When you aren't busy exploring the top sights in the Smokies, you and your family will love unwinding in this spacious cabin. 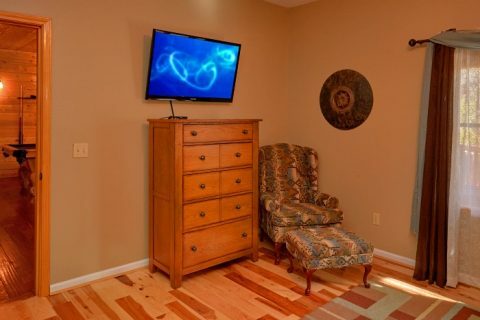 The main floor is home to the living area that comes with a floor-to-ceiling, stacked stone, gas fireplace, a 55" HDTV, and access to a deck complete with rocking chairs. 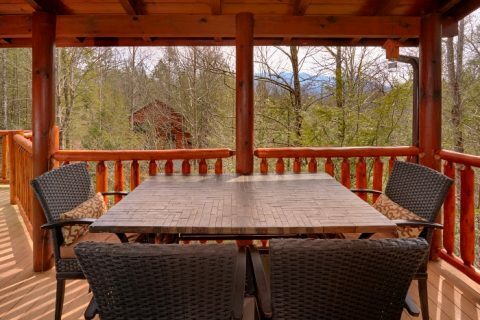 You'll find a patio table and chairs here that are perfect for sipping a cup of coffee while you enjoy the fresh mountain air. 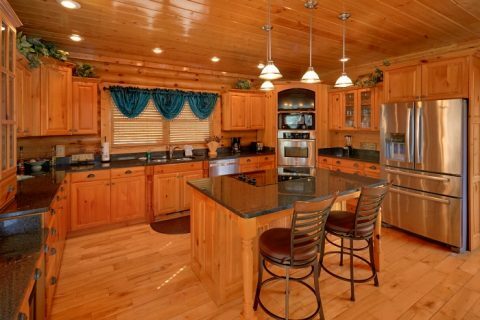 Nearby in your cabin's luxurious kitchen, the family chef will have a great time preparing delicious meals with stainless steel appliances and plenty of space on granite counter-tops. 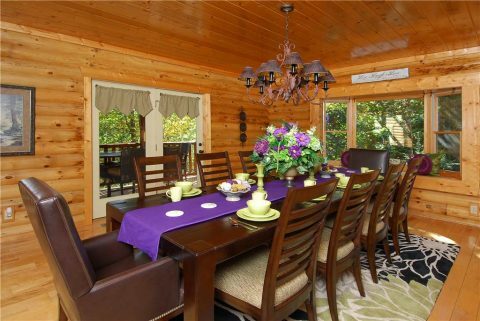 Once it's time for dinner, everyone can gather around the large dining table with 10 seats. 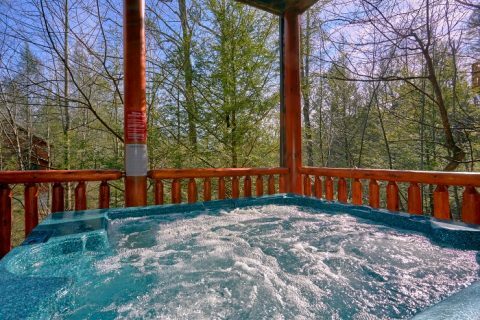 For a relaxing, after-dinner activity, head down to the lower level deck to enjoy a rejuvenating soak in the hot tub. 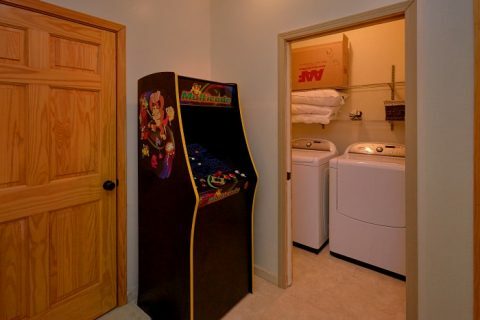 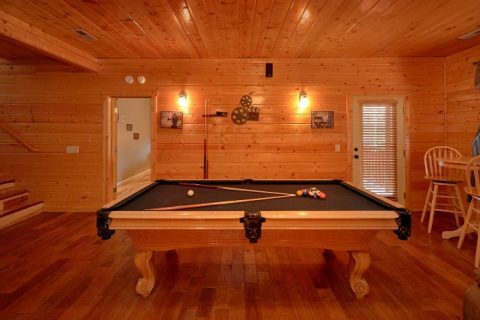 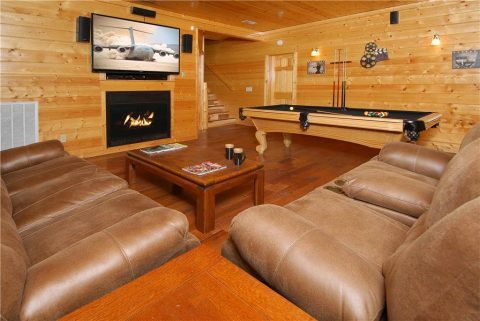 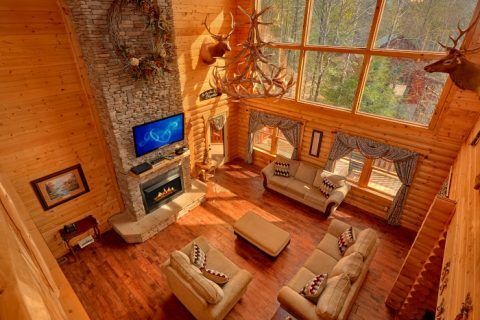 If the kids need to work off some energy, this cabin comes complete with a large game room on the lower level. 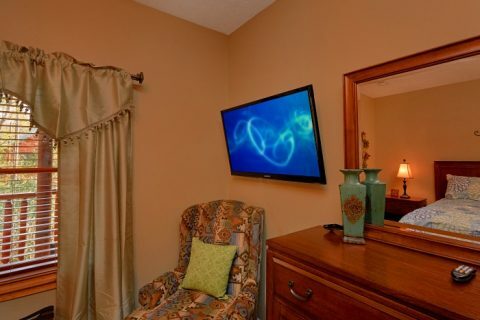 Here, guests will enjoy a pool table, a stand-up arcade game, and an entertainment system with a 70" screen, surround-sound, and a Blu-Ray DVD player. 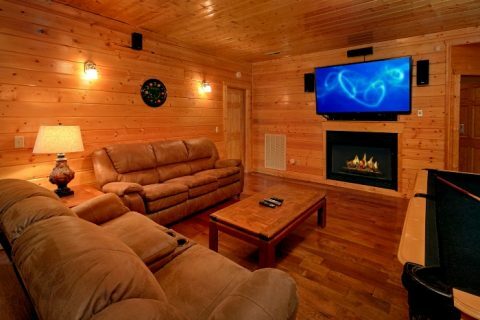 A gas fireplace makes this room welcoming and cozy during the cool winter months. 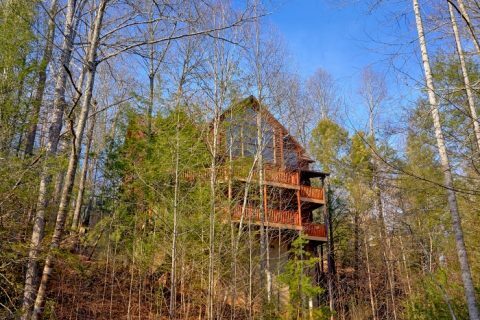 Once it's time to get a good night's sleep, you can look forward to unwinding in one of this cabin's 5 private bedrooms. 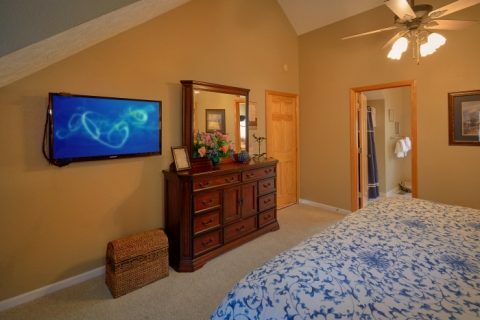 Each bedroom comes with a walk-in closet and a 40" flat-screen television for enjoying your favorite movies and shows in private. 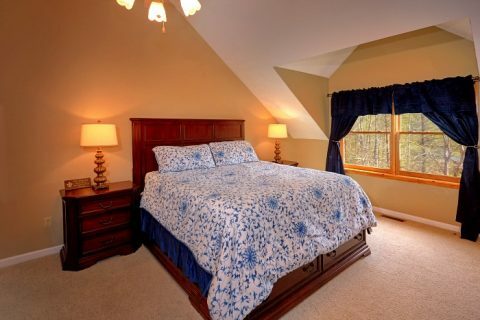 On the main level, the master bedroom features an elegant, four-post, king-size bed. 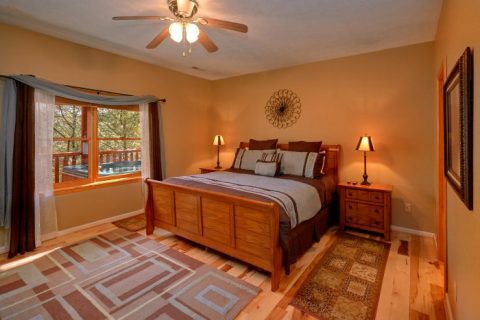 The second level of your cabin is home to two more bedrooms with a king-size and a queen-size mattress respectively. 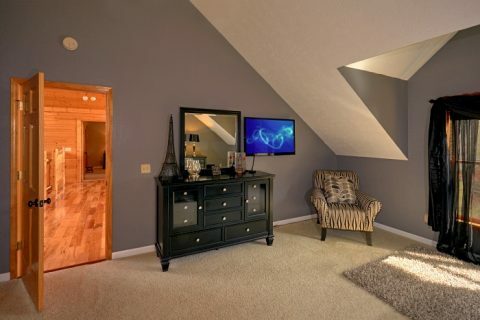 On the lower level, you'll find two more private bedrooms. 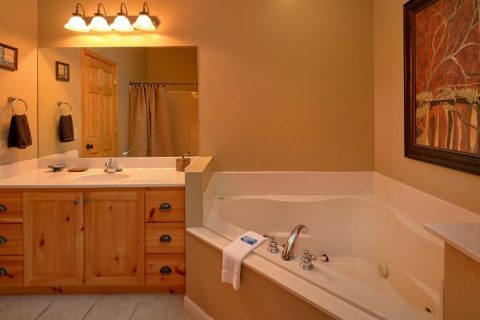 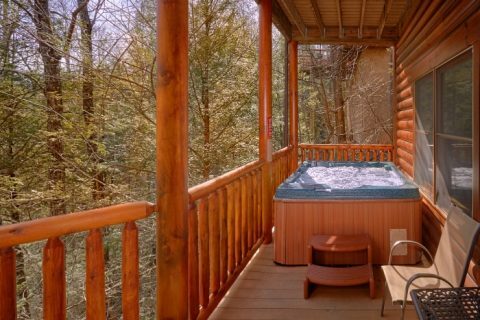 Both feature king-size beds, but one has access to a bathroom with a jacuzzi tub for enjoying a relaxing soak in privacy. 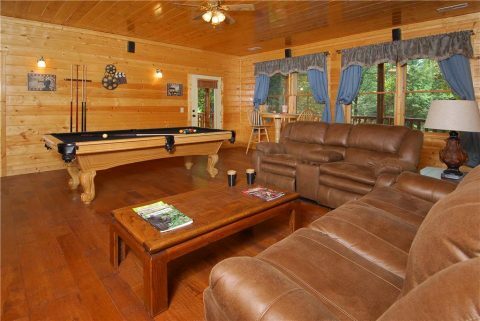 For accommodating extra guests, your rental features a sleeper sofa in the upstairs loft and another sleeper sofa in the game room area. 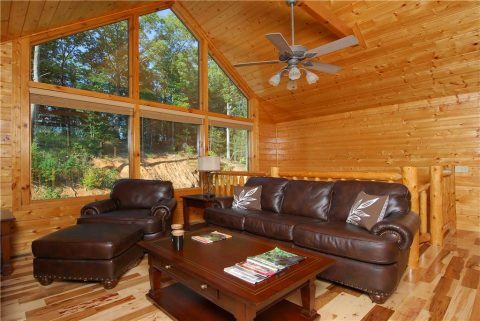 Your cabin also comes equipped with wireless Internet access and a washer & dryer. 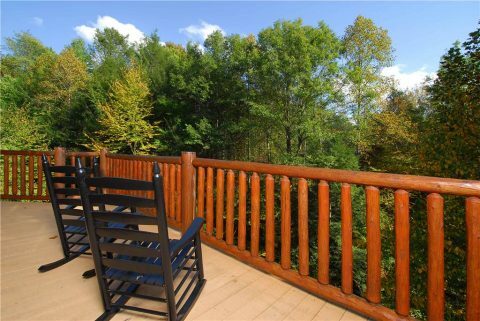 As an added perk, this rental is within walking distance of a local park as well as a Gatlinburg Trolley stop that can bring visitors into town. 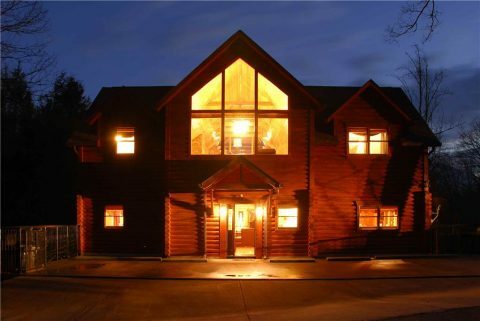 Start planning a terrific getaway when you book "Elkhorn Lodge!" 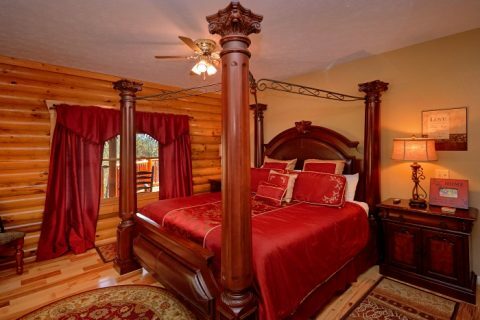 Don't forget to reserve this cabin through Cabins USA Gatlinburg to earn a special 15% discount on your nightly rate!